Estimated based on initial lease payment of $33.43 plus 60 weekly lease payments, not including sales tax or any optional delivery, warranty, or liability damage waiver (LDW) fees. Unless you exercise your early purchase option, your total cost of ownership will be $2,005.80, not including tax or any optional delivery, warranty, or LDW fees. 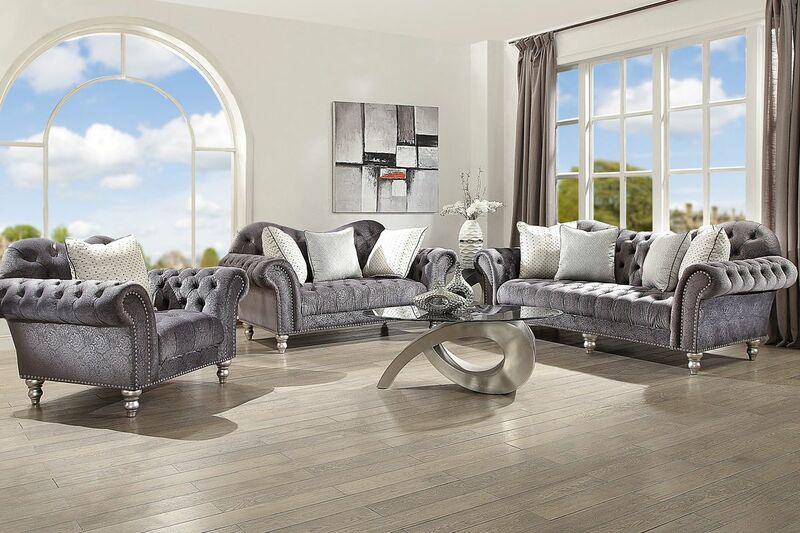 Create a luxurious style with a beautiful curvaceous design, the Castile collection features scrolled arms and turned legs which are inspired from historical eras. Seats and back are both tufted for a dramatic effect. Includes three decorative silver accent pillows. 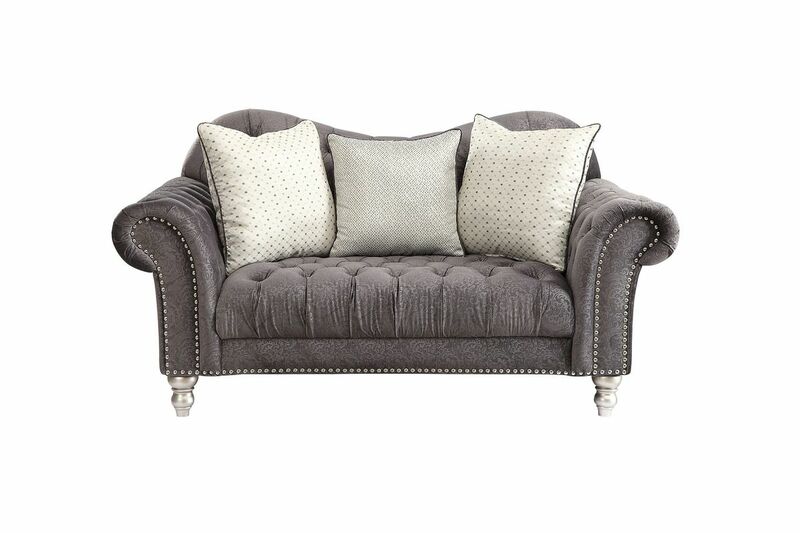 Luxurious fabric is an embossed silver-grey and accented with chrome finished nail heads.